NC Five Star Licensed School since 2006! We are a preschool of academic excellence, not a daycare. We utilize a standards-driven, year-round curriculum that is designed and updated quarterly by professional child care educators exclusively for Kids R Kids. Academic objectives are cross-referenced to reflect National and North Carolina standards. Our objective: to provide your child with an outstanding preschool education in a safe and loving childcare environment. Innovative child care programs that integrate technology-filled classrooms, and highly trained educational staff set us apart from a typical daycare. Our elite Learning Academy offers child care and educational programs for infants, toddlers, preschoolers, pre-K, Certified NCDNPE (NC Department of Non-Public Education) Kindergarten Program, and before/after school care. All of our childcare options work to establish a firm foundation that will set your child up for a lifetime of success! Contact us to learn about our NACCRRA tuition benefits for active military families. Like us on Facebook! 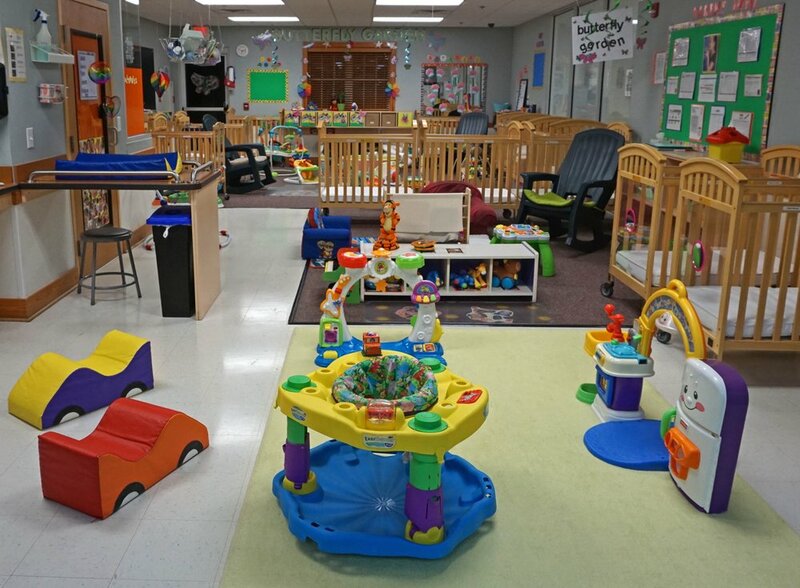 2/14: Our infant care rooms make learning fun and safe. 3/14: Our playgrounds are age appropriate and built for fun. 4/14: We love learning and laughing outside in the sunshine! 5/14: We love our age appropriate playgrounds! 6/14: Creation Station is a favorite with our students! 7/14: Learning is hands on at Kids 'R' Kids Clayton! 8/14: We love to learn and discover! 9/14: The Cafe - Children learn to eat in a cafeteria setting at age-appropriate chairs and tables. 10/14: Learning is fun and interactive for our infants! 11/14: Our classrooms are clean, bright, and full of learning! 12/14: Fun in the sun! 14/14: Our State of the Art facility - Conveniently located along US 70.